For the benefit of those not in the know Australia has six states and two territories that make up our Great Southern Land. For sure we could have a lot more like the United States of America, but hell we’re flat out counting to ten, let alone trying to name 50-States. Hey, where are you going, don’t worry this isn’t some kind of history lesson. Alright, grab a beer or a wine if you like, but hurry back, and don’t go wasting your time googling how many States America has, it isn’t that important. So picking back up, having an unbiased view, of course, there is one State that shines above all, Queensland, the Sunshine State. You remember Nemo don’t you? Of course you do, a couple of fish that talk, a few turtles swimming down the East Australia Current, and who could forget Dory, and that great quote of hers? You’re looking for pictures aren’t you? Well, I’m teasing you, you’ll have to come on over and snap a few for yourself. Anyway, we’ve got the warmest people that you could ever meet and whose each and every sentence ends with, hey. And hey, don’t get me wrong, the rest of Australia is pretty darn good mind you, just not as good. Crikey, you know what I’m trying to say…the place is bloody perfect! I mean, 364-days of sunshine a year…doesn’t get much better than that, hey! Okay okay, yes you’ve called me on this one so maybe not quite 364-days. But let’s face it, if you’re a pommie, you know, English, those blokes that flogged us at Rugby about a week or so ago banished us from England on convict ships all those years ago, anything more than 5-days of sunshine a year would be a bonus. If only they knew at the time, strewth, we’d be overrun with those Lion supporters running around in red shirts looking for a “warm beer”. 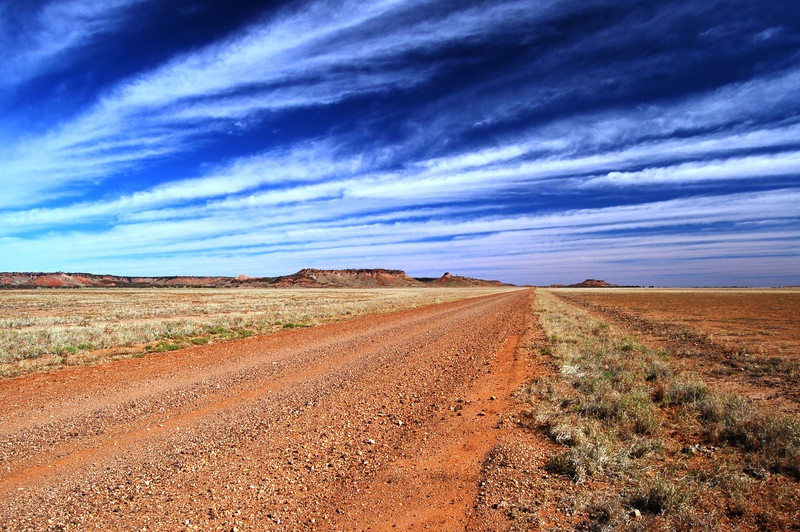 Yes, Queensland, we’re they’ll call you mate, and mean it…and where the beer is ice-cold. Now, it might come as little surprise that both Janet and I were both born in Queensland, and to be more precise I grew up in the North. North Queensland that is, and Janet has roots deeply set in the same region. Crikey, how did that happen…I mean, he’s a Cockroach. Oh yeah, sorry, meant to say, Queenslanders’ are often referred to as “Cane toads” and New South Welshmen as “Cockroaches”. So by now you’re probably wondering, what is the point of all this, hey? Has Baz lost his marbles? Is he a sandwich short of a picnic? Um, Janet and TomO are nodding yes to all three! So I’ll just try and make my point…hey. Strewth, there is none really! So how about this, pop on over to this great place, you know, our sunburnt country and I’ll buy you a beer at one of our favourite watering holes. 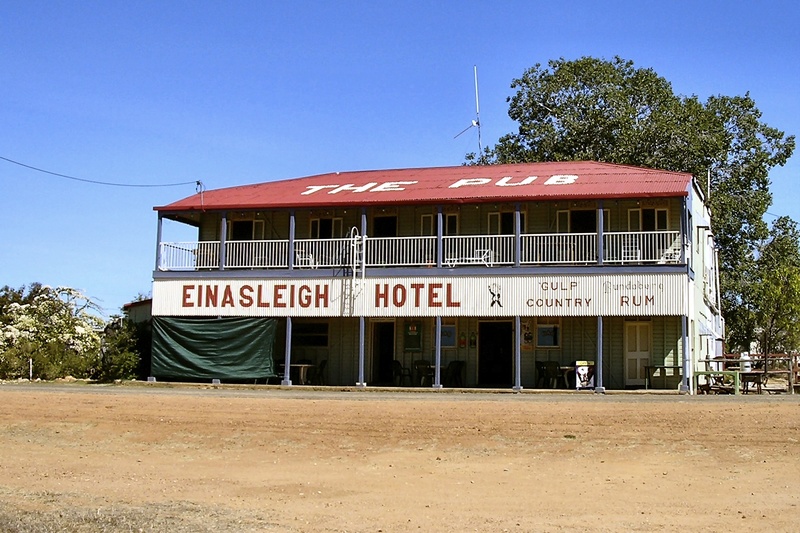 Yeah, up at the Einasleigh Hotel up in the Gulf Savannah, hey. How’s that for a pub…! Give us a bell so we can get the beers on ice and just ask for Baz, hey! Northern Victoria is a great place to live and visit, New south Wales claims the Murray but I think it is half Victoria’s as well. We have plenty of sun here( but not today). It goes through Echuca, it is a very popular event. Think you must have been on the beer already.LOL! Hmmm, bring some of that Stokes stuff from Nelson…Oh, and I’ll chill a couple of coldies also!